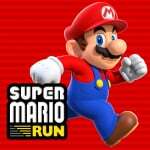 Whether it's a mutual desire to benefit each other or whether a formal timed exclusivity deal was agreed, what's clear is that Apple has been keen to heavily promote Super Mario Run. Over the past month or so the app has enjoyed the benefit of tweets from the App Store's official account, strong placement on the store itself and various publicity-boosting activities. 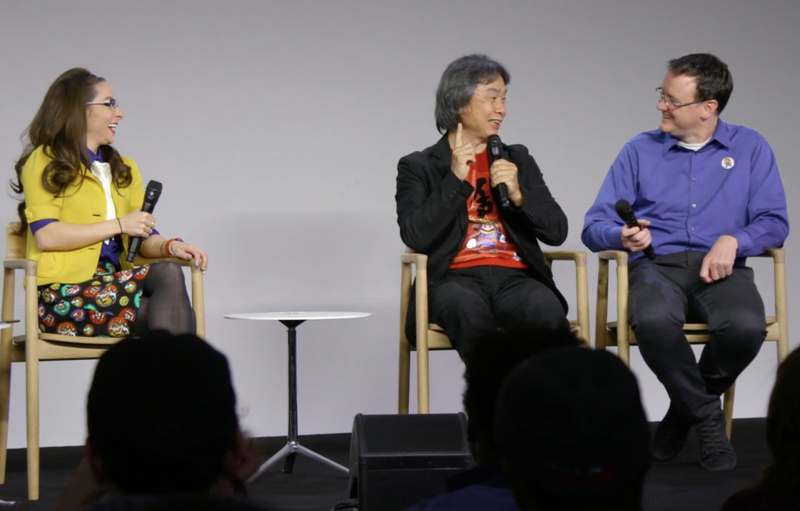 Now there's a free download on iTunes in which Shigeru Miyamoto talks about the game. It's all rather introductory stuff, but it's always interesting listening to the legendary game designer; he's assisted on stage by Bill Trinen, with tech journalist and presenter Katie Linendoll posing questions. It's about 41 minutes long and can be downloaded for free, either as a video or audio-only. The game is now just a couple of days away - are any of you Apple device users planning to pick it up? Well, that gives me hope Nintendo will start putting their OSTs on iTunes. Pokémon and The Wonderful 101 don't quite TOTALLY count, and the latter's getting taken off this month anyway. I'll give it a listen. Might also play the demo figuratively blindly today. I played the demo in an apple store at meadowhall and it's surprisingly fun! I hope it makes a new generation of people love Mario and Nintendo just like pokemon go did with that series. Anyways can someone give me a $15 iTunes card ??!! Bill has the best job in the world. I'll likely get the game at some point. Nice, thanks for the heads up, I would have missed it otherwise, listening now. I'll be getting it. I don't really have any games on my phone, so it'll be fun to have a nice and quick distraction always with me. It must be maddening for the Sony slash Microsoft metaphorical vultures hoping for Nintendo to go third-party to see Apple getting a Mario game before they do. That's a surprisingly fun video. They'll earn about 0.6 billion off of this in the process. I doubt I'll ever be a "proud" Apple device user, but for you people that love Apple devices, &/or are willing to own one, I hope you guys have a great time w/ the title. I think Pokemon Go(yes, I know Nintendo didn't make this per se), & eventually this, will be remembered as Nintendo's first (read: considered relevant/noticeable) marks in the mobile space/industry(, because they both use popular Nintendo ips), while Miitomo is technically the first project/program/app Nintendo made for smart devices. I also suspect, that just as many cases of accidents happening from (people) not looking up from playing SMR, as did w/ PG.